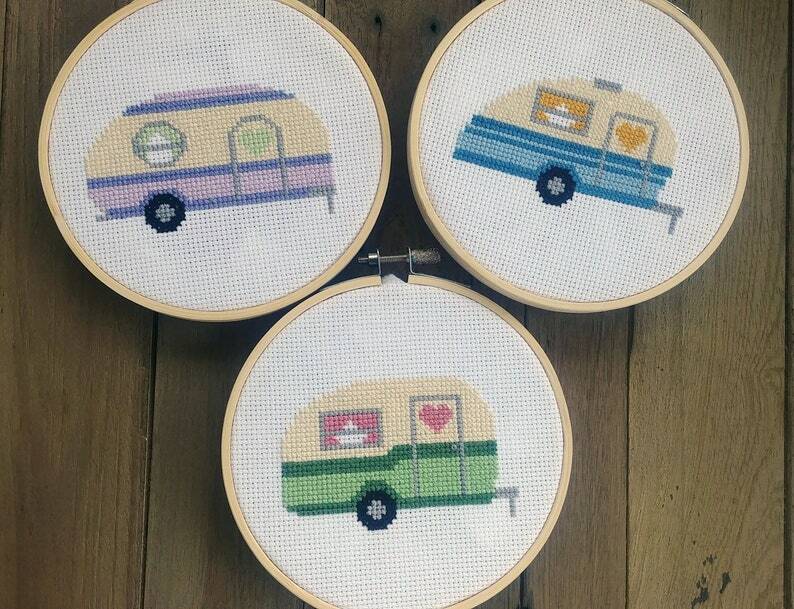 Retro Mini Campers! Three easy patterns for you to stitch up. Vintage goes modern. These are so fun! Great for beginners and experts alike......and they all three coordinate with each other! Each camper measures from 3.6 x 2.1 inches and fit neatly into a 5 inch hoop. Pictured on 14 count Aida. 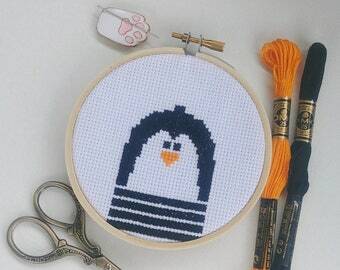 I am also happy to create customized cross stitch designs, quotes, and even finished products. I can change colors or create new designs for you! Contact me for customization options and pricing.